The Clean Air Act was enacted in 1970 and regulated under the Environmental Protection Agency (EPA). This federal law was designed to help protect the environment and health of Americans from air pollution. The EPA sets standards on air quality using extensive testing, data gathering, and training. We are faced with health hazards on a daily basis from the air we breathe. Some of the major health risks of pollution are cancer, asthma, birth defects, and heart disease. What are some ways we can protect our families from indoor and outdoor pollution? There are many short-term and long-term side effects of the air inside our homes. When a house has contaminants, people may not experience any noticeable effects but over time, this could have major consequences. According to the World Health Organization, the air pollution inside our home is the leading cause of pneumonia, heart disease, strokes, and lung cancer. Some of the secondary side effects of air pollutants may have contributing factors in asthma, influenza, and respiratory infections. Americans spend an average of 90 percent of their time indoors. Places that create the greatest exposure are home, work, and school. Children and elderly people are more vulnerable from risks to air impurities because their time spent indoors is greater. Taking steps to reduce vulnerability to PM’s can reduce health side effects, improve respiratory function, and lower mortality rates. Improved air quality can help minimize impurities. A well-ventilated building helps lower risks associated with indoor air pollutants. Some of the people who pose the greatest health risks from poor indoor air quality are children because their lungs are still growing. The National Center for Health Statistics estimates that 6.2 million children have asthma in the United States. Asthma is a disease that creates a constant state of distress to the airways in the respiratory tract. Air impurities can trigger asthma attacks. A person’s air paths will close up causing air to restrict from moving through the lungs. A major effect caused by asthma is called airway remodeling. This is scarring of the lungs if asthma is left untreated. Other contributing factors from indoor air pollutants in children are low birth weight, neurologically such as language skills, and behavioral problems. Vacuuming - This can help reduce allergens associated with pet dander and dust mite feces. To eliminate these issues, removing carpet is the best practice. 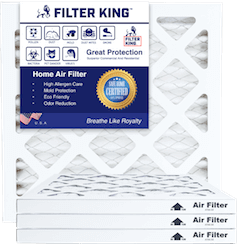 Changing air filters - Air conditioning filters should be replaced routinely. Unclean air filters get clogged affecting the efficiency of your air conditioning system. Leaky faucets - Fixing leaks prevent mold and mildew. If left unrepaired, water damage will cause black mold to grow within the walls of your home. Black mold can make a building toxic if left untreated. Inhaling black mold can cause many vascular issues. Maintaining your roof - Damage from your roof can expose families to mold and outdoor air pollutants. If left poorly maintained, this will cause insulation to deteriorate, which can lead to mold. Insulation protects the home from moisture. Mold spores aggregate around electrical equipment and wires rendering them inefficient. This can lead to serious health concerns, especially to people with critical medical issues. Household cleaning products - These are commonly used chemicals to clean one’s home. Continued use of these home cleaning products causes volatile organic compounds (VOC’s). Exposure to VOC’s can lead to severe headaches and loss of coordination. Long-term side effects are nervous system, kidney, and liver damage. Using green cleaning chemicals can help reduce exposure. Maintaining your air conditioner (A/C) will significantly lower air impurities. If your system is improperly cared for, this can lead dirt to clog in the filtration obstructing airflow. The airflow will bypass the filter carrying dirt directly to the evaporator coil. This will impair the heating-coils capacity. Failing to take proper care of your unit will increase energy consumption. Mold can get into the air ducts of your heating and air conditioning (HVAC) unit. Water accumulates inside the unit. This is the result of a poorly maintained unit that has malfunctioned. Carbon monoxide (CO): This is an odorless, colorless gas that can be detrimental when inhaled in large quantities. Anytime something is burned, CO is released. The most abundant source of CO comes from motor vehicles. Space heaters, gas stoves, and chimneys also emit this gas. The side effects from overexposure to carbon monoxide cause headaches, seizures, and eventually death. When CO levels are raised outdoors, people with heart disease may experience a reduction in the ability to receive oxygen. Ground level ozone (O3): This is smog which is a chemical reaction from vehicle emissions mixing with sunlight. O3 can reach harmful levels on sunny, hot days. People most affected by this toxin are asthmatics, elderly people, children, outdoor enthusiasts and people who work outside. Particulate matter (PM): This is a result of toxins mixing together. Solid particles and liquid droplets mix together making hundreds of compounds. PM mostly forms in our atmosphere from industrial plant pollution such as smokestacks. Other contributors include constructions sites, unfinished roads, and fires. This type of pollution results in haze with reduced visibility. Inhaling these particles can cause severe health issues affecting the lungs. Nitrogen dioxide (NO₂): This pollutant is created from burning fuel. This is emitted from power plants and vehicles. The health effects of breathing in NO₂ can cause vascular issues such as asthma. Acid rain is the result of nitrogen dioxide from nutrient pollution along with haze. Lead air: This is emitted from leaded aviation fuel, waste industrial plants, utility industry, and lead battery manufacturers. Lead exposure leads to damage to the nervous system and cardiac system of adults. When inhaled it reaches the bloodstream and stores in the bones. Low levels can bring about behavior problems in child development. Sulfur dioxide (SO2): This toxic substance is dispersed into the atmosphere from burning fossil fuels from industrial facilities and power plants. This can be harmful to the respiratory system. Haze is a result of sulfur dioxide being mixed with other harmful elements in the atmosphere. We encounter potential health risks from indoor and outdoor pollution every day. Through legal policies regulating pollution, knowledge, and learning how to protect ourselves from the surroundings that encompass our daily lives, we can reduce the toxins and breathe easier.